The popular petition seeks radical solutions to the political turmoil in Bahrain. 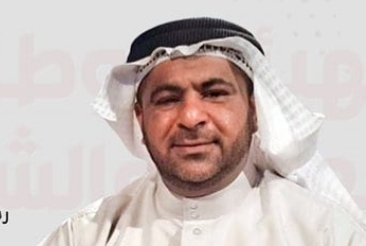 The official spokesperson behind the popular petition, Hassan Qamber, called on the international community to stand by the people of Bahrain in their efforts to resolve the political turmoil, which has been plaguing their country for the last eight years. Qamber urged backing for the Bahraini people’s push toward a modern state through the election of a Constituent Assembly and the drafting of a new constitution. This is aimed at saving Bahrain from accumulating crises and preserving a state of institutions and law for future generations. Furthermore, the spokesperson disclosed contacts with relevant United Nations bodies over the popular petition, which is due to be delivered at a later date. Contacts have also been made with the UN High Commissioner for Human Rights, several other international rights organizations in Geneva as well as a number of European states. Qamber notes that one of the most important objectives of the popular petition is to correct the course of the political process and remove it from the "distorted state of democracy", which dates back to the constitutional crisis of 2002. It aims to fulfill the aspirations of the Bahraini people by granting them the right to self-determination, the right to choose the form of political system that represents them and elect their leadership. The popular petition will officially be unveiled in Bahrain over the course of the next few days. It comes in the lead-up to November’s parliamentary elections that are being boycotted by the Bahraini opposition and seeks a democratically elected Constituent Assembly that will draft a new constitution for the country.